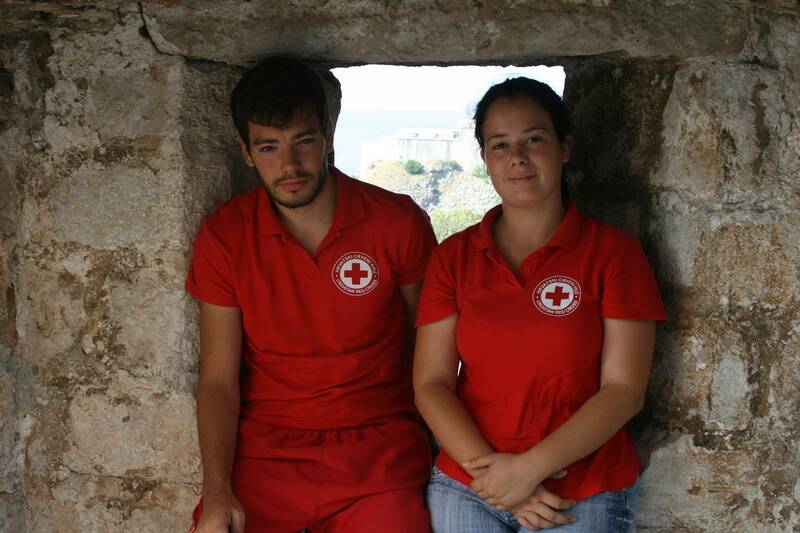 Did you know that Dubrovnik has Red Cross Volunteers on four locations in the Old Town? Due to the extreme heat and expanded number of visitors during the summer season, Red Cross Dubrovnik decided to form small teams to be at the disposition for the guests in need. Teams are located near Sponza palace, near Minčeta tower, near St. Klara and St. John’s tower (Sveti Ivan). Shifts are from 9am to 2pm and from 2pm to 7pm. As the youngsters told us, usually there are some small medical interventions, such as blisters, nausea, sometimes fainting – all the things that be treated on the location, without the use of medical team or emergency medical transportation. Smiling volunteers passed the course of elementary medical help, and they have full equipment on those four locations. ‘We are not afraid of some unfamiliar situations, but you have to keep a cool head, and that’s no problem for us’, volunteers near Sponza told us. We paid a visit to the team on the city walls, a place that can be hot like hell sometimes… There, volunteers have 4 to 5 interventions every day, from blisters to scratches, dehydration and heat strokes. They take the patients to the ambulance inside the walls (if the patient isn’t in the extreme situation). ‘Plenty of water, sunscreen, and never underestimate the heat’.